We were engaged to create a vibrant reception, meeting rooms, co-work lounge and café in a former record depository located in Hatton Gardens. The space was transformed into an atmospheric, modern industrial interior. 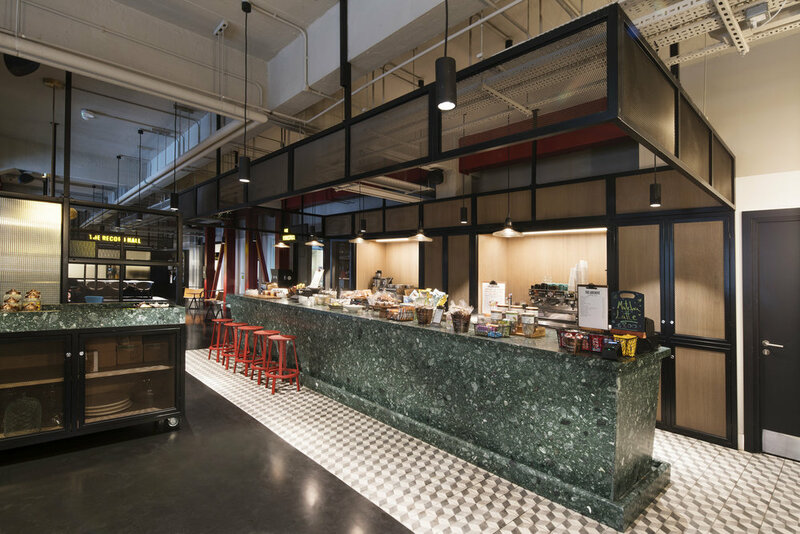 A bespoke terrazzo bar is the focal point, with semi-private meeting areas, created using glass and metal screens. The walls were treated with feature panelling and large metal canopies were hung above the reception and bar to define the areas.